Furtkamp began his career at Yamaha Corporation of America as a district manager in 1986 and by 2004 ascended to the position of national sales manager, and in the years since, has helped grow Yamaha’s leadership position in the pro audio market. 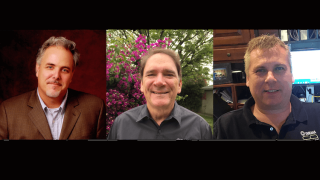 Related specifically to Furtkamp’s promotion, the company has created two new regional sales manager positions: district managers Jonathan Peirson (West) and Doug Staab (East) have been promoted to take on the new regional management roles and will continue representing commercial audio dealers in geographically optimized sales territories. Staab and Peirson will be responsible for district managers within the East and West territories respectively, and report directly to Furtkamp. Staab joined the company 13 years ago as district manager for the Mid-Atlantic States, while Peirson joined the company eight years ago, responsible for California and the Pacific Northwest territories.